This is a solid, thought provoking documentary covering a relevant economic topic in-depth. 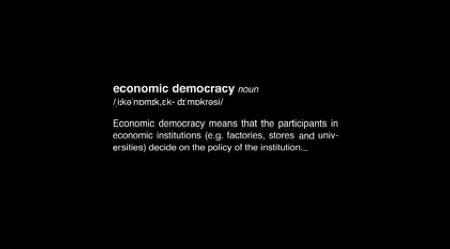 The question of capitalism’s grip on the modern world is highly relevant today and the film questions if we should be pushing for a democratic cooperative way of doing business, showing case studies of businesses who are surviving as democracies within a capitalist system. A film by Patrik Witkowsky, Jesper Lundgren, André Nyström and Nils Säfström. Distributed in cooperation with Fria Tidningar Media Cooperative.